Obviously, people who are blind are not able to see things as well as those who are not blind. Although it's true that most blind people do have some degree of vision, for all intents and purposes, one can say that people who are blind do not use their eyes to access the web, because whatever vision they have is not useful enough for this kind of task. This means that a computer monitor and mouse would be much less useful to a person who is blind. It's not that blind people are incapable of moving or clicking a mouse; it's just that they don't know where to move it or when to click it, since they can't see what's on the screen. Just how do blind people use the web then? Understandable: because they cannot understand content that is presented in an illogical linear order, or which contains extraneous text not meant to be read word for word or character by character (such as long web addresses), etc. As it turns out, there are software programs that convert text into synthesized speech and blind people are able to listen to web content. These software programs are generally called screen readers, even though they do quite a bit more than simply read the screen. Screen readers allow users to navigate through web content in many ways. The user can simply let the screen reader read everything from top to bottom, one line at a time, or the user can use the tab key to navigate from link to link. The user can also navigate from one heading to the next (if the web content has headings), from one frame to the next (if there are frames), or by other methods. Common screen readers include JAWS, Window Eyes, and Home Page Reader. Devices such as this have small pins that can be raised or lowered to form Braille characters which the deaf-blind individual can feel. It is amazing to think about the world of possibilities that these technologies open up for individuals who are blind. No longer do blind people need to depend on others to access common information that others take for granted, such as newspapers, magazines, bank statements, and scholastic transcripts. In the past, when blind students wanted to enroll in a university class, they had to rely on the help of others to accomplish this for them. They had to do it on other people's time schedule, and they sacrificed some of their personal privacy. Now, with the help of a screen reader, blind students are able to use the Internet-based registration system at many universities. This new capability provides them with a greater level of independence which was previously impossible to obtain. Of course, the catch is that all of the content has to be accessible to the technologies that blind people use. Screen readers are quite robust in their capabilities, but they do have limitations. They cannot completely substitute for the visual experience. Luckily, there are ways to compensate for screen reader weaknesses. Images. Screen readers cannot describe images. The only way that a screen reader can convey the meaning of an image is by reading text in the document that serves as a substitute, or alternative, for that image. If there is no alternative text, or alt text, then the screen reader cannot accurately convey the meaning of an image. Visual layout. Also, screen readers cannot survey the entirety of a web page as a visual user might do. A visual user can look at a web page and quickly realize how the page is organized, then zero in on the most important content. A screen reader is not able to do this. It reads in a linear fashion, one word at a time. It cannot always intelligently skip over extraneous content, such as advertisements or navigation bars. Kyle, a student at Utah State University who is blind, shares his perspective on web accessibility and screen readers in the video below. Remember, people who are blind access the web using screen readers and keyboards, and there are some major obstacles that they face when trying to access web content. Keep in mind that an accessible web site means freedom and independence for someone who is blind. When web developers don't provide accessible content, the only way that a blind person can get the information from the web site is through someone else. Users generally do not use a mouse Don't write scripts that require mouse usage. 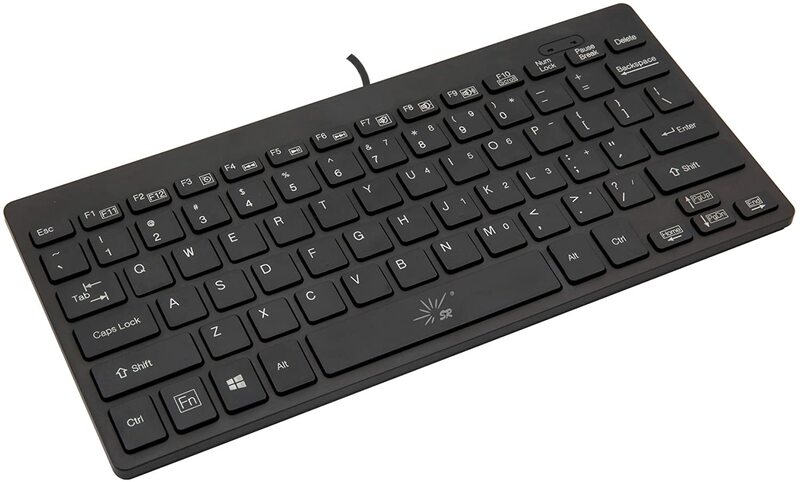 Supply keyboard alternatives. Images, photos, graphics are unusable Provide text descriptions, in alt text and, if necessary, longer explanations (either on the same page or with a link to another page). Users often listen to the web pages using a screen reader Allow for users to skip over navigational menus, long lists of items, ASCII art, and other things that might be difficult or tedious to listen to. Users often jump from link to link using the Tab key Make sure that links make sense out of context ("click here" is problematic). Frames cannot be "seen" all at once. They must be visited separately, which can lead to disorientation. Don't use frames unless you have to. If you use them, provide frame titles that communicate their purpose (e.g. "navigational frame", "main content"). It may be difficult for users to tell where they are when listening to table cell contents Provide column and row headers (<th>). Make sure that tables—especially those with merged cells—make sense when read row by row from left to right. Complex tables and graphs that are usually interpreted visually are unusable Provide summaries and/or text descriptions.